in 360i News, Influencer Marketing with tags #360iWhatsTrending, #JARSbyDani, Jars Both comments and trackbacks are closed. Earlier this year, 360i launched a new series called “What’s Trending,” to combine fun perks and giveaways with thought leadership beyond our industry. With events hosted throughout the year, the series celebrates innovative ideas that are either trending in pop culture now, or are predicted to be trending soon. This past week, 360i brought in Dani Beckerman, the CEO and founder of JARS by Dani – a dessert business which layers decadent desserts in a simple fashion: jars. Dani recently graduated from college with a pre-med degree, but turned in her lab coat for an apron shortly after she moved to New York. Signing up for culinary school on a whim inspired her to begin JARS by Dani mid-course, based on her own creations. She then took to Instagram to launch her original product and amplify her message. Since then, she’s been featured as part of Glamour’s Make Your Mark and has serviced some of the biggest brands in the city, including Lucky Mag, Cartier, Sephora, Sam Edelman and Chloe among others. At 360i’s New York office, Dani joined us for a Q&A and to debut her signature December holiday flavors (Chocolate Peppermint, Gingerbread and Red Velvet). Read on to learn more about the magic behind JARS by Dani. 360i: What led to your decision to not to go to med school and start JARS by Dani? Did you have the idea for JARS before you decided to change paths? DB: I always wanted to go into the medical field. My parents are both doctors, and I absolutely loved the profession. But after I moved to NYC I started thinking about culinary school. I had always loved to bake but never thought of making it into a career. I very spontaneously toured a culinary school and signed up that day! I started JARS in the middle of my course. 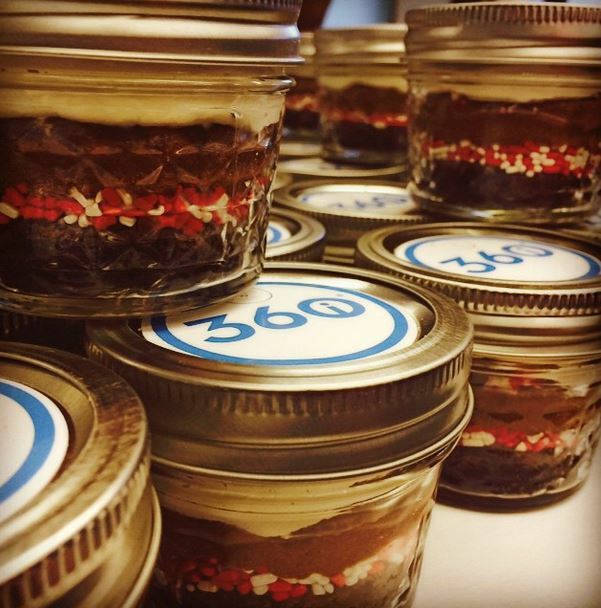 360i: How did you get to the idea of putting dessert in jars? DB: I was inspired by the empty jars in an arts and crafts store one day and just decided to layer desserts in them for friends. 360i: How many versions of the jar did you go through before you first took JARS to market? DB: One million! I used to ask people their favorite flavors and would try and incorporate them into the jars. I made a million versions before I came up with what I have now. 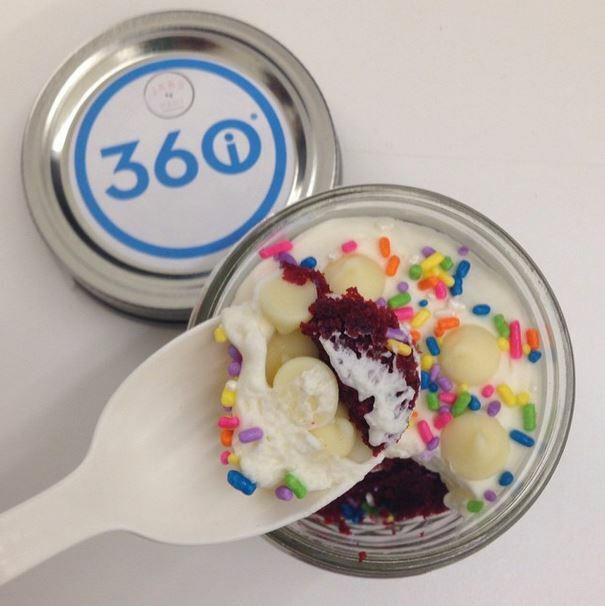 360i: What was the most important ingredient you incorporated into the jars when you launched? DB: Mousse. I went through a small mousse obsession phase. I was making up a million different recipes until I created the perfect one. No one does mousse jars – it’s one aspect that makes them so different and special. 360i: How do you get customer feedback? DB: When I first started out, I hand delivered the jars all over Manhattan myself. I used to insist on people taking their first bite with me there. I loved seeing their reactions. Now people usually just email me after they have tried them – those are the most fun emails to get. 360i: How did you grow your social media following? DB: My following is increasing every day, and I started to grow it by requesting at every ‘Jarlivery’ that the customers post their jars on Instagram. I then started to reach out to people with bigger followings – fashion bloggers, foodies, etc. and asked them to post about JARS. Their friends and followers saw them, and then their friends and their friends – it’s insane how many people you can reach on social media! 360i: What do you think is the biggest contributor to your large following on social media? DB: Aside from the product being so photogenic, since I started my company on Instagram, when you look through the account, it tells a story of starting a business. People saw me go from posting them for fun, to selling them, to working with major brands, to having my own space and so on and so on. 360i: What advice would you give to others innovating or starting companies in their respective industries? DB: Just go for it! If you’re passionate about something and really believe in it, it’s worth going after to make it happen. 360i: Our three principles at 360i are Passion, Purpose and Perseverance. Which of these principles would you say contributed most to the creation of JARS? DB: I would say perseverance because starting a company takes A LOT of work and there are many sleepless nights, but also passion because that’s what keeps me going! To learn more about JARS by Dani, check out her website, Instagram and Facebook.